Went to dinner at El Vez last night and was pleasantly surprised with the photo booth that is in working shape 3 dollars and 5 minutes later a little print out was dispensed and the night was complete with a little souvenir. There is also this 15 foot orange wall behind the photo booth by the stairs where people posted their strips. Wonder how people got the photos up near the top? 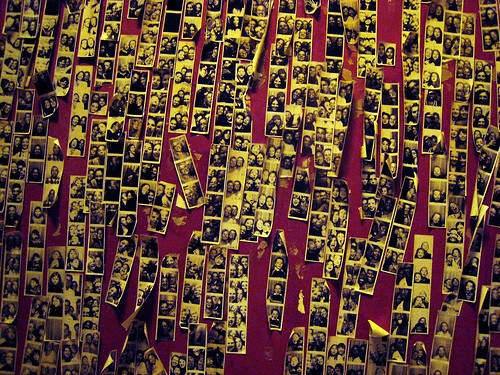 If you were on the hunt for a photo booth- be sure to stop by El Vez on 13th.